On July 3 at approximately 10:00 p.m., a Calcasieu Parish Sheriff’s Office deputies pulled up behind two trucks stopped at a red light at the intersection of W. Gauthier Road and Nelson Road in Lake Charles. 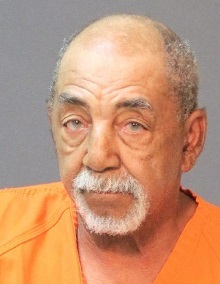 They learned the driver of a Ford pickup truck, Clifton Harris, 70, 7648 Ling Road, Lake Charles, had rear ended another truck at the red light. When the deputies approached the truck and spoke with Harris they detected a strong odor of alcohol emitting from his breath along with slurred speech and unsteady balance. Harris completed a portion of the standard field sobriety test but refused to complete the remainder of the test stating that he was not able to perform it. Harris, who had two prior DWI arrests, then submitted to a breath intoxilyzer test which revealed he was over the legal limit. Harris also advised a deputy he had been drinking alcoholic beverages before driving. He was arrested and charged with DWI 3rd; and following too close. Harris was booked into the Calcasieu Correctional Center. His bond is still pending. CPSO Deputy Jonathan Hebert and Brayden Cruze were the arresting deputies on this case. I've learn some just right stuff here. Certainly value bookmarking for revisiting. I surprise how so much effort you place to create this kind of great informative web site.